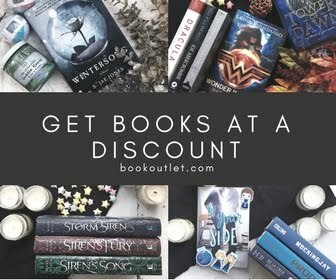 Books filled my childhood - and not in that loner kind of way either. They were the gifts my grandmother gave me. They were the little extras my dad would give me as a reward. They gave me ideas to expand upon in my imagination. They helped my brain connect the concepts of science, life, and critical thinking. There were probably thousands of books that were checked out on my library card before I even old enough to know how blessed I was to have such a card. All this to say I can remember exactly what book started it all. 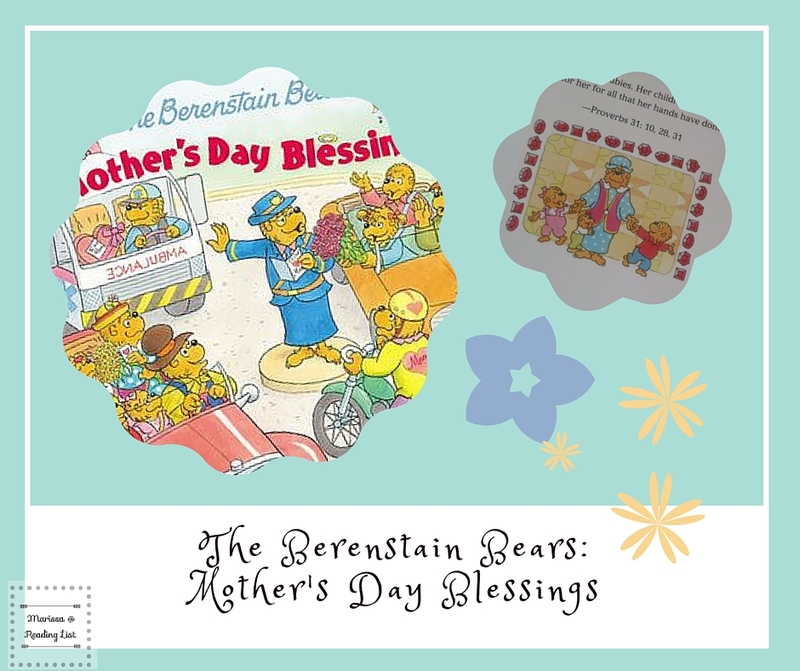 Fairly recently Mike Berenstain continued the Berenstain Bear books full of wonderful morals and truth for a new generation of kids. Today I am very excited to share this new book from Mike Berenstain, Mother's Day Blessings. The familiar Berenstain Bear family is enjoying early spring when this story starts. Brother, Sister and Honey Bear are trying to find a way to make Mother's Day special for their Mama, so of course they go to Papa and ask for help. The story follows the family on Mother's Day Sunday as they make their way to church. 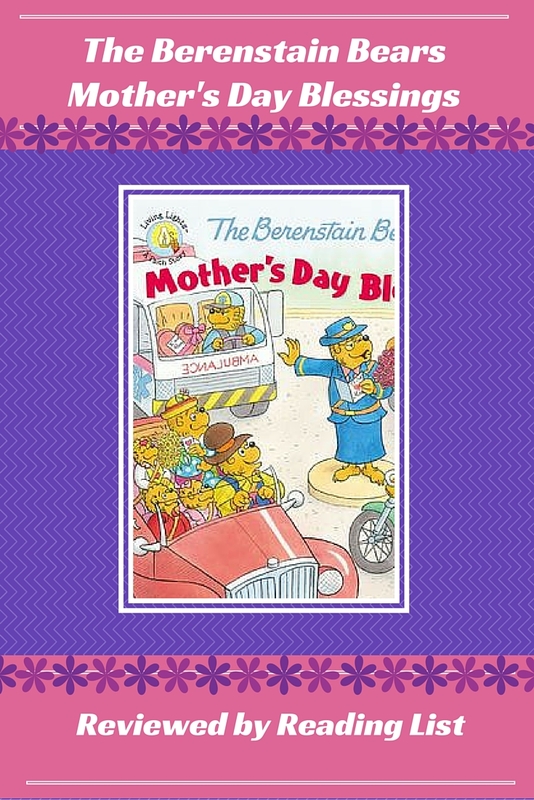 Mama reminds the kids about all the moms who celebrate the special day differently while the kids are excited about their Mother's Day surprise. This is one of those fictional families that lives their life similarly to typical families so that readers can see how behavior and choices can impact those closest to us. This book is fun because the bear kids want to show love and appreciate to their mom so they ask their dad for help. And their decision is a simple one and it impacted mama greatly. A book teaching kids that it is not about gifts but about spending time with your family to show your love. An extra bonus in this book is at the very end: there are a couple of quick discussion questions for kids to answer about the book. A perfect way to help develop critical thinking. Who Arted? has some adorable questionnaires to print and interview your kiddos - these are always fun to see! Fun Handprint Art has a wonderful collection of ideas for all kinds of handprint and footprint crafts for your little ones to make for their moms and grandmas. I love these adorable flower pots from Edventures with Kids - so easy even for younger kids, and the perfect way to present mom with a pretty flower. Scholastic put together three super adorable crafts for your older kids to put together. We made a stepping stone footprint a few years back with CRAFT's method, and while it takes some time to set and an extra set of adult hands for set up & clean up - its been one of the best gifts! How do you celebrate Mother's Day? What is your favorite Mother's Day memory? 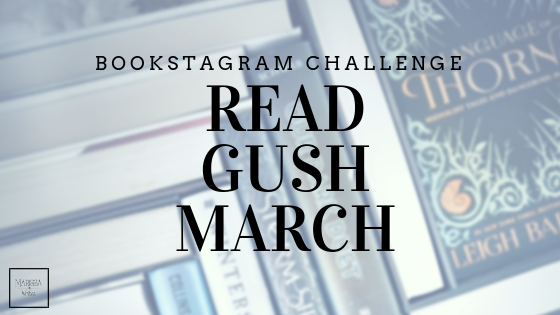 Check out where I'm linking up!